I’m sorry for the hiatus everyone. I’ve been neck-deep in edits lately, so I haven’t had a lot of free time to read and post reviews. But, I’m back on a slight break, so I get to dig into reading! And this week was a great read by Roseanna White, with her newest book A Name Unknown. What a thrilling beginning to what promises to be an exciting trilogy! I love Roseanna White’s stories, and her brilliant blend of mystery and intrigue with a sweet romance. I just adored Rosemary! She smart, capable, and just loves her family. She is willing to tackle any challenge in front of her, almost like a chameleon, but even a thief can have morals. Then there’s Peter. Oh, adorable Peter. He’s not your typical hero, and it makes him perfect. He’s got a good heart, and a good ear, ready and willing to help his friends, especially prominent ones. But, with war looming, he has to find a way to prove his loyalty or risk facing being branded a traitor. Throw in a recluse author of thrilling adventure stories, a library just filled to the brim, including all floor space, and a mysterious employer with questionable intentions, and this story is a great read, and I cannot wait for the rest of the series! someone had caused an accident for his mother. 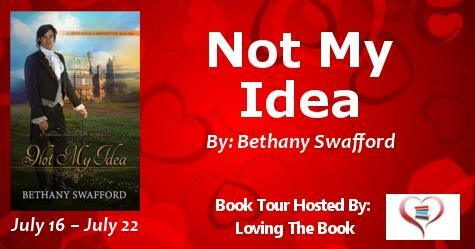 spare time, Bethany reviews books for a book site called More Than A Review. What a fun (funny?) story! From the first page, Bethany Swafford weaves a tale that so outlandish and wonderful, it’s hard to put down. Poor Lucas, he’s called home urgently from his grand tour only to discover that his mother’s sick and he’s been engaged to a woman he can’t stand. To make matters worse, the lady in question doesn’t want him, but also doesn’t want to call off the engagement. Add to that his best friend’s in love with her, and vice versa, but instead of stepping in and asking for her hand himself, he’s content to sit by and fume at Lucas for being betrothed. Throw in a deliberate accident, robbery, and some rather ridiculous shenanigans, and it’s a great read. While not the typical romance, it does have some sweet moments, and some familiar faces, and I can’t wait to read more by this author! To be honest, this is something that is hard to pin down. As a young teenager, I enjoyed writing short stories for my own amusement and that of my sister. It wasn’t until I was in my early twenties that I made my first attempt at a novel and even then it was a good four years before I wrote another one. What drew you to the Regency era? Jane Austen. I adore the clothes and the manners found in her books. Some of my favorite authors, like Georgette Heyer, have built fantastic stories in this era and I want to do the same. As this isn’t your first published book, have you found writing becomes easier or more difficult? Actually, it’s a little of both for me. It’s easier in that I know more about the Regency era so I’m able to express myself in a clearer manner than from when I started. It’s harder because I feel like there is an expectation from my readers to do better than before. Any favorite stories of yours? Perhaps ones that have helped inspire you? The Foundling by Georgette Heyer was a strong inspiration for my newest book. In it, a young man wants to be his own man and takes action to do that. In my book, I have a young man who struggles with being independent while still respectful of his family’s expectations. And lastly, any suggestions for aspiring writers? There is one thing I always tell someone who want to write: do your research. Be absolutely confident in every detail. You never know when an objection will come up and you’ll be called upon to defend your work. New week, new review! 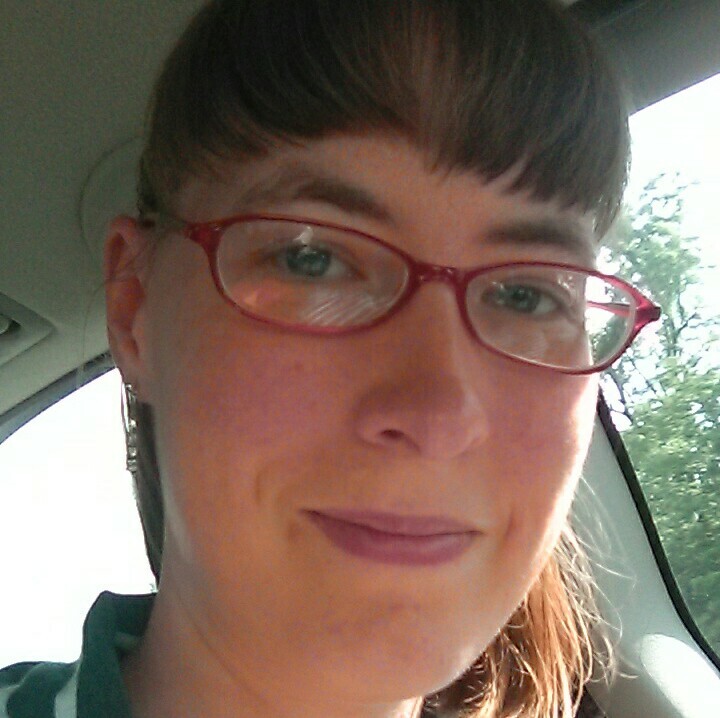 This week’s is another new author I’ve discovered, Wendy May Andrews. Another regency author, I really liked her story The Duke Conspiracy, and I am looking forward to reading more by this wonderful author. But first, my thoughts on this story! 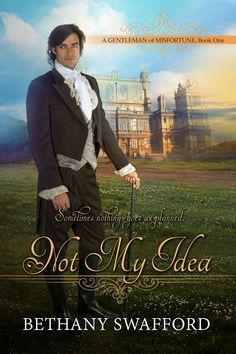 This was not a typical regency tale, and I thoroughly enjoyed it! Wendy May Andrews’s characters are wonderful to read, and the plot was so thrilling, it was hard to put the book down. Rose was such a fun character, an interested blend of feminine nobility along with spunky courage and a sharp mind. After spending some time as a spy for her father, she finds it hard to blend into London’s ton during her society debut. Although, her skills came in handy when she overhears a plot against a man she once considered her best friend. Alex is fairly new as a duke, and isn’t fond of hearing a plot against him, especially not from a girl who’s supposed to be his enemy. I loved watching their relationship grow, even if they were forced to work together. It was nice to watch their romance blossom, the perfect blend of sweet moments mixed in with some fun banter. Throw in a lovely supporting cast of best friends more than willing to jump in to help, and this story is one I recommend for anyone looking for a little suspense in their romance. You can get this wonderful story for Kindle and NOOK, (and paperback) and don’t forget to check out the author’s website, along with follow her on FB and Twitter. As for this one, what a beautiful regency tale! I absolutely loved Diana, almost from the first page. She’s so sweet, albeit a bit naïve, and her slight bumbling is endearing. It was also fun to watch her with her siblings, even when her temper comes out. And Mr. Richfield is probably one of the sweetest heroes I’ve read! Not only is he patient, but he’s always finding ways to treat her special, even if it means angering a few fortune hunters. Their relationship was so sweet to watch, both a love at first sight, and a slow, shy, falling in love. Throw in a couple of younger siblings with some crazy shenanigans, and a highwayman in the area, and this story was fun to read. It’s a great sweet regency, and one I recommend for anyone wanting to curl up with a sweet romance. Thrilling conclusion to Dark trilogy! Hello! So, this week’s is rather short, but I loved this book just as much. By C.C. Harwood, the final installment of her Chains of Darkness series was epic! Star of Morning was probably my favorite in the series, and it was definitely one of my favorite YA fantasies I’ve read. What an amazing conclusion! This book had me on my seat until the very end. I loved Jen’s character from the first book; so sweet and just young and in love, it’s the girl that you can’t help but like. And then I stopped ‘liking’ her, which made me adore her even more! I loved her flaws, and her character journey. I really liked the end of this story, all the characters’ journeys. I loved the epic conclusion, the heart-pounding pace of the writing. Broken up with moments of great character growth and some sweet romances. This was a great fantasy, and fun series to read. You can get this awesome story through Amazon, and check out the Author’s website for the rest of her series. Hello! So, this week’s review is a book that’s been out a while, but I loved it! I’ve read the others in the series, and the’re all so beautiful. Without further ado, Kristi Ann Hunter’s An Uncommon Courtship. What an amazing tale! Kristi Ann Hunter has woven together such a fun story with a deeply heart- warming message. Each of her romances are unique, and this one certainly stands out. After all, this story starts with a wedding. And I love these characters! Of course there’s Trent, the younger brother of the Hawthorne family. He’s very honorable, even if he generally goes through life enjoying himself. And then there’s Adelaide, who’s mainly lived in the shadow of her sister, and willing to do what it takes to keep those around her happy. Trent’s surround by a family filled with happy marriages, but Miranda’s only seen the political side of the institution. Can these strangers overcome their past, their expectations, and misunderstandings to form a marriage, and perhaps even find love? This story was truly a wonderful look at love, even midst some comical attempts by the characters to find it. All together the characters were wonderful, the story line enjoyable to read, and the message engaging, all wrapped with a sigh worthy romance. It is a Regency tale that I dearly recommend. You can get this wonderful story here, and be sure to check out Kristi Ann Hunter’s website, and follow her on Facebook and Twitter. Hello everyone! Okay, so I’ve been horrible at posting. Again. Honestly, it’s partly to do with the fact that I haven’t gotten a lot read lately. That and I’m getting published. (How awesome is that?!) So, a lot of my free time as gone to working on my own story. That being said, I have read some pretty awesome stories lately, and I’m going to attempt to do posts once a week, probably on Mondays. So, without further ado, how about today’s review? Today is Karen Witemeyer’s newest novel, Heart on the Line. What an incredible story! Karen Witemeyer is an amazing author, and this newest novel doesn’t disappoint. While I’m not usually a fan of Western stories, hers always leave me wanting more. Once again we travel to the all women’s colony, plus two gentlemen now, of Harper‘s Station. This story follows Grace, the Telegraph operator. She’s a fun character to get to know. After having seen her own father shot before her, she is in hiding, trying to make a living while looking over her shoulder. She’s strong, almost fearless, and has no problem carrying a gun on her at all times. Plus, she has a quick wit and deep intelligence that happens to be brought out by her nightly correspondent Telegraph Operator, Amos. While not the traditional handsome beaux, he shows his qualities in his respect for her, quick wit to match hers ,and an intelligence to see through difficult situations. He has a good heart, and while he doesn’t usually seek out of fight, he has no problem dashing into danger to protect those he loves. When danger comes knocking on their door, they will you have to use all their strength, intelligence, and a little bit of help from some friends. And perhaps even in the midst of trouble, they might find that their friendship could become so much more. These two were so fun to watch fall for each other. They have such an equal intelligence and wit with a mutual respect and a bit of a teasing side on both ends. It is both heart melting and heart pounding. I was both laughing, gasping, and sighing. It is a wonderful book with a fun setting a great plot, some precious characters and great messages about learning to trust God when your strength is not enough. It is a story I highly recommend to anyone wanting a good page-turner! You can get this awesome story through Amazon, and don’t forget to check out Karen Witemeyer’s website for more of her stories, including upcoming releases!